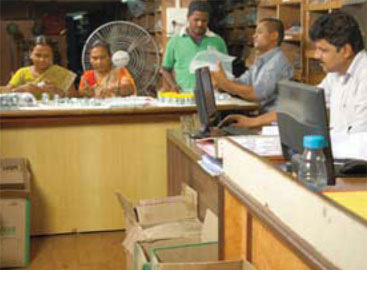 Vaishnavi Hydraulics Pvt. Ltd. (VHPL) is into business of experience and explores all possible opportunities by providing right solutions with the help of resources & technology for the betterment of people & the organization. Vaishnavi Hydraulics Pvt. 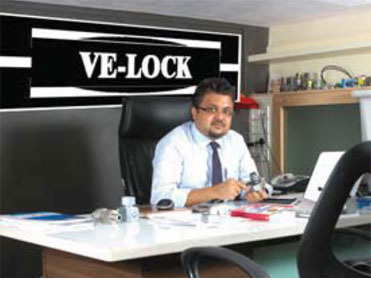 Ltd. is well known for its brand called VE-LOCK & VE In the field of Hydraulic & Industrial Engineering application industries like – Railways, Steel Plant Industries, Power plant, Oil & Gas industries, Aeronautics Equipment, Paper Mill Plants, Cement Mixers,and Power packs Equipment. Since year 2006. Hydraulic & Industrial Engineering industries has found that the usage of VE-LOCK tube fittings , tube clamps , flanges tubes , Valves and Quick couplings are leak proof joints for Hydraulic High pressure Piping Systems. VHPL Is Dynamic Manufacturing & Exporter company that offers Hydraulic Fluid Power & Motion application components such as - Tube damps , Tube Fittings SAE Flanges , High Pressure Valves , Quick Couplings , Seamless Tubes contributes Trouble Free , Leak Proof , Maintenance Free, Long Shelf life of Machine , Better Performance , Superior aesthetic Quality to serve Hydraulic & Engineering Application Industries like: Shipyards, Railways, SPM (Special Purpose Machines), Paper Mills, Construction Equipment. Mobile Hydraulics, Steel plants & Rolling MiIl Manufacturing. Automobiles 8 Heavy Mobile Vehicles, Refineries & many more. VHPL has CLAMPS manufacturing Facility like: Molds for Plastic Molding, forging, Casting. Jigs & Fixtures, Clamps Top and Bottom Plates, C rails, Rail nuts, Weld Bushes, Plastic & Aluminum Clamps Molding Machines. VELOCK has huge space for Storage, Assembly of such clamps & having capacity of stock for all sizes start from 6mm up to 219 mm. VHPL products are manufacturing on various machineries such as Horizontal CNC lathe machines, Vertical CNC lathe Machines (Milling Machines) Drill Machine. Surface Grinder, Welding Machines, Wire cut machines, Lathe Machines, Traub Machines and Cutting Band Say Machines to cope up all Big orders, Rush orders ,Urgent orders , special development orders , Nonstandard items orders given by our all valuable clients throughout the world. VHPL has developed machining Center for Various Steel & Stainless Steel Products for the Process like Cutting, drilling, punching, boring, threading, and grinding Roll threads, Finishing, Marking. VHPL has developed Approved Subcontractor for Surface Treatment of Steel Product with process of Trivalent Zinc Coated (Chrome Vi Free), Yellow Chromatized, Black Phosphatized, Black Zinc coated, Silver Plating, Nickel Chrome Plated nearby our Manufacturing facility so that It saves time in Production &dispatch of goods. VHPL also have SPARE Manufacturing facility from outside vendors, approved sub-contractors who can support us during the time of Rush Orders or big Project orders.